GuyGuy is taking his medicine for his gallstone, eating sometimes more sometimes less and I spend the time to make sure he does. We are now testing some homeopathy that could help him when he moans and is in pain. He IS a real trooper and so sweet. Every day, I am blessed to have him. Injudicious Breed Clubs ..the English version. Recently, I read the hot news from the American Barbet Club, spreading the message in a world-wide barbet forum on facebook! Worth knowing? Not much! In their posts, it is to be read that 27% barbet is the carrier of the eye disease Prcd-PRA. This figure is calculated on 33 tested barbets. Nothing about the size of the total population or the test’s design and origin, selection, whether the test is validated for the barbet? How many are affected and is it a problem for the breed in whole? Are breeders and stud owners testing their old dogs used in breeding to follow up their own evaluation? It is a great opportunity to educate, but instead, the breed club blows up a scarecrow that completely lacks anchoring in a wider perspective. Misleading information that creates anxiety and fear is definitely the wrong way to go if we want to enlighten and guide to help. How can we track a source when we refuse to recognize the background of our dogs? 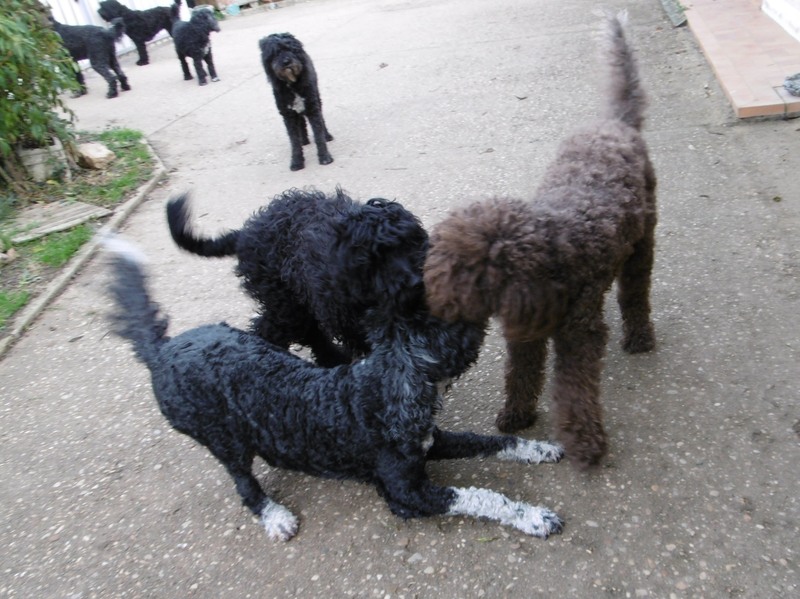 Can we be helped by studying the health history of the other breeds actually in the barbet? As usual, few facts are provided surrounded by a variety of many many unanswered questions. We stare ourselves blind to an isolated detail while we refuse to recognize our dogs originate. To create perspective, to understand and get a more complete picture of reality. Of course, we need verified information, but we must not forget the great value of education in how to interpret and use these data. Breed clubs are informers and guides and should think carefully before they publish their information. The Swedish Breed Club has acted irresponsible, the American show the same tactics. The Swiss Breed Club makes its own guidelines that benefit some and disadvantages others. A fact that has now led owners to go abroad to mate their females and thus get their puppies registered in other countries. 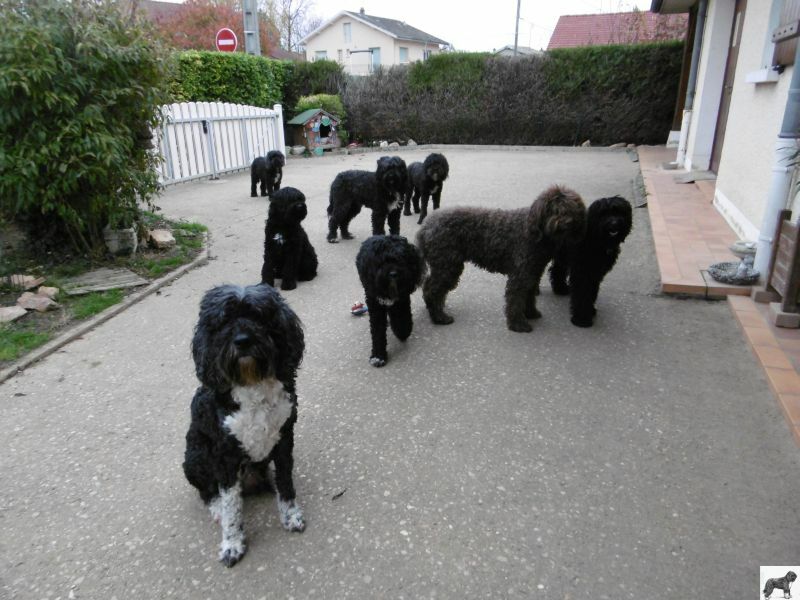 The French Breed Club cracked and SCC (the French Kennel Club) seems (?) to be the one who took over responsibility for the Barbet. 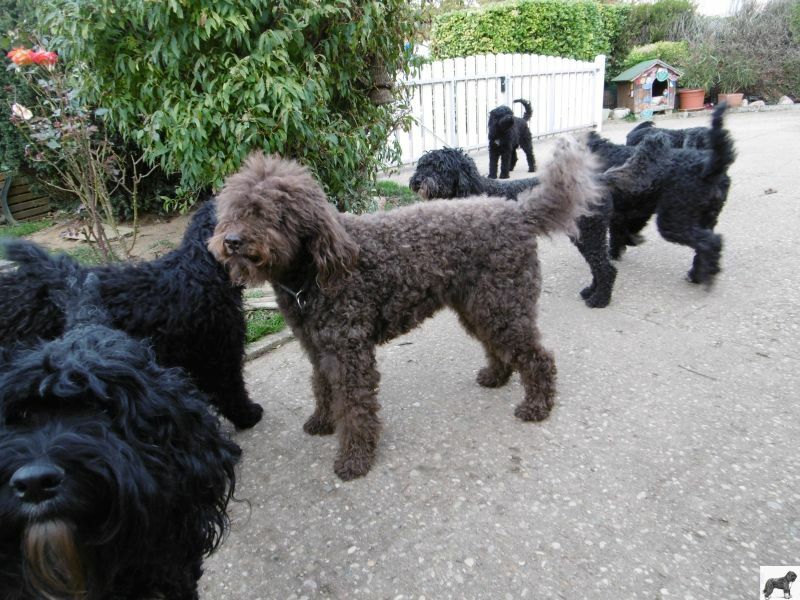 In Britain, with its distinguished Kennel Club (KC), the barbet is not yet an approved breed, instead, breeders register their dogs in France. Misleading the statistics, which also imparts an incorrect picture of reality. 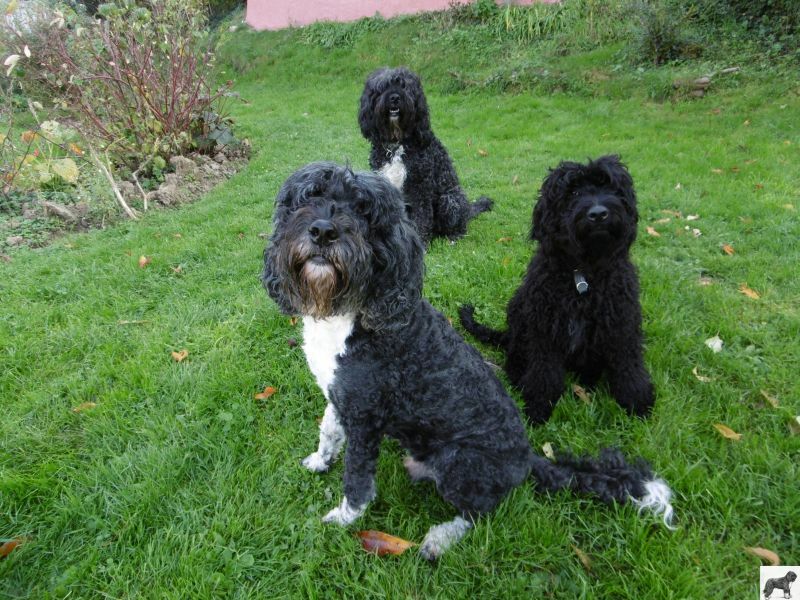 The German Breed Club for Barbet wrote with good review in their latest news that the French Breed Club reached the end of the road. The big question is if we do not jointly lead the breed on the same track when we inferiorly ignore both knowledge and education? My 2 cents’: We have nothing but super experts in all these breed clubs who are always ready and willing to guide you with their prophecy…but when all is said and done? I am not sure they even know what a Barbet is. But they will show you how to.. When an allmighty self acclaimed “expert” dictates what can happen or not in the barbet world, it’s time to say “stop“. A bimbo does not decide about a breed and what it looks like, nor does her sidekick. Just in case you were to miss the info! …and enjoy my graal. I have worked very hard to reach this point, and seeing that the breed club no longer exists( they accomplished their mission, running the breed into the ground…It’s probably the best time to take a break, wait and see…. At some point people may or may not come together and deal with factual information concerning the Vieux Barbet, and not rely on internet heresay, rumours and fantasy. I find it more important to watch my dogs interact; enjoy them as they enjoy each other and will think about more puppies, later! I will take the time to share more pictures and deal with the factual history of the breed…as before.In the meantime enjoy visiting other French sites and learning about their contribution to the breed. A breed severely threatened with extinction. I hope that people will develop the critical thinking skills and stop being mouthfed the theories and fantasies they are drinking up like nectar. 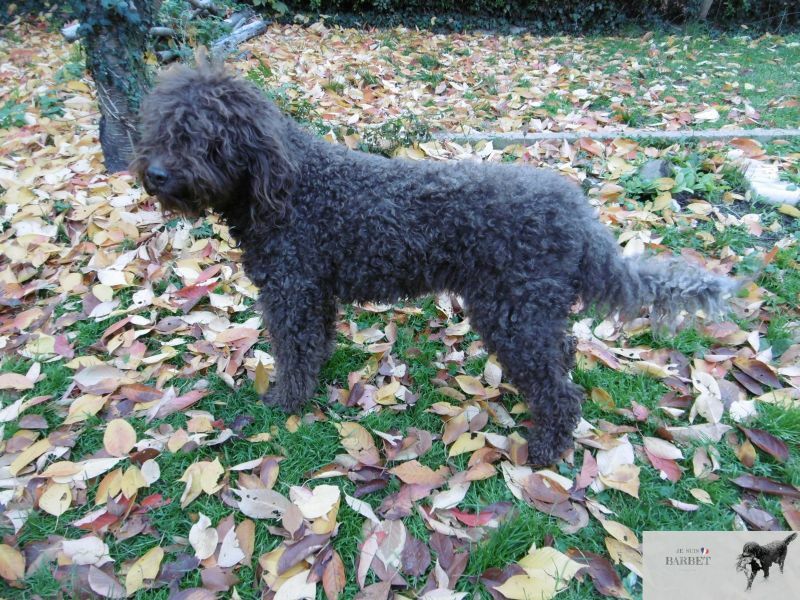 You can lead a Barbet to water, but you can’t make him swim! 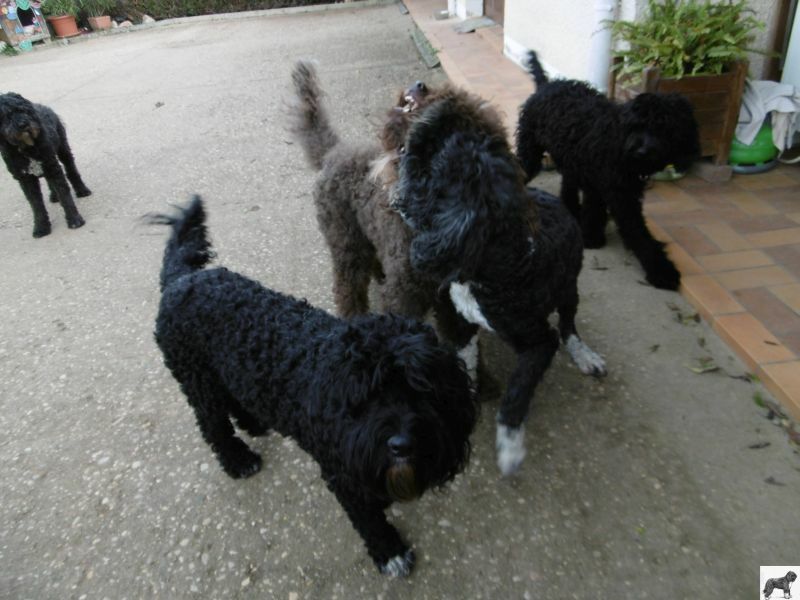 CH-Compay II, his son French Lover (Froggy) and in the middle French Lover’s son NatK, 7 months old.